He may have needed a few Republican insiders to help with the transition. But now it’s time to hit the eject button. Recall a while back that Reince Priebus’ Chief of Staff was outed as one of the White House leakers. Well, the apple didn’t fall too far from the political tree. 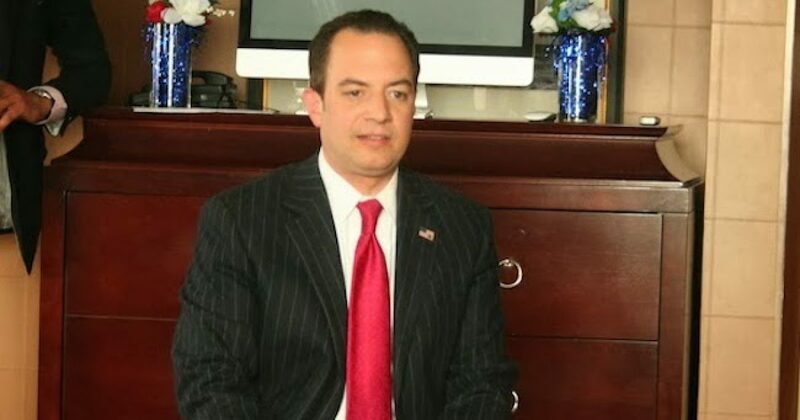 And as some people believe, Priebus will soon hit the road. Scaramucci was smuggled into the meeting with the President on Thursday so Reince wouldn’t know about it. Trump had already taken pains to hide the discussions from his Chief of Staff, knowing Reince would try to foil the move. If we’ve learned anything so far about this President, it’s that in real life he actually hates saying “you’re fired.” So what might it take for Reince to quit? Reince has very few true allies inside the building. At this point, they don’t stretch much further than his personal assistant and the RNC holdovers on the press team. At the senior level, the only WH official who will go to the mat for Reince’s survival is Steve Bannon. They’ve become allies of convenience in a feud against Jared and Ivanka (“Jivanka,” as Bannon calls them to associates.) Jared and Ivanka distrust Reince, think he’s incompetent, and want him gone ASAP. I agree with much of this assessment. Reince Priebus was a good fundraiser. That’s why he replaced Michael Steele. But Trump doesn’t need a fundraiser. As for the appointment of Scaramucci, Trump wanted a warrior and a strategist. He needed somebody who can find the moles within the Trump administration. The way President Trump currently goes about his business serves as a warning to his RINO staff. He won’t solve his leaks right away, but he will narrow the field. Then at some point he will use the leakers for his own good. After that, Trump will drain his own swamp.